Just what is it that Heston is smiling about? He has just finished playing a song from the Music for Little Mozarts Lesson Book Level 2 to an audience of over 30 people. Could it be that he is proud of the success he is experiencing with piano playing? Could it be the delightful recording tracks that he plays along with or maybe he is remembering the endearing story of Beethoven Bear and Mozart Mouse as they discover the piano together with Heston. 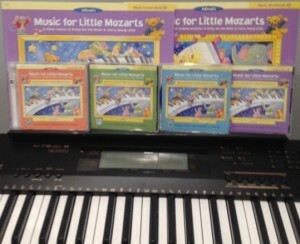 Little Mozarts piano program for Heston’s first tuition books. Other piano programs were available, and I have taught many of them over the years…but there’s something special about Music for Little Mozarts that keeps me coming back time and time again. The program really appeals to the students and families who start music at a young age. 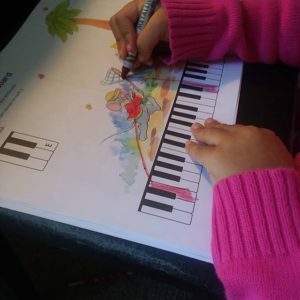 A music program has to be engaging to keep a 4 to 5 year old child focussed and interested for the full half an hour of a piano lesson. There is no issue with this as the program suggests many ways of introducing new concepts. The use of the backing tracks keeps students in time and gives their own playing a professional feel. There are 4 Books in the series. Each one has colourful pages and is most appealing to young children. The theory books help to consolidate musical knowledge and are usually done at home in between lessons. Here are my 5 top reasons for recommending this program. The books in each of the four levels are colour coded with each other and with the CD’s. They are appealing to young children, colourful and with interesting pictures. The Work Book (Theory) and Lesson Book run parallel with each other so parents and students know exactly what page to work on in each book. New work is introduced systematically and thoroughly. Students can guide their own practise by using the backing tracks thereby becoming independent learners. Parents can follow the lessons easily at home to help with practise sessions at home. 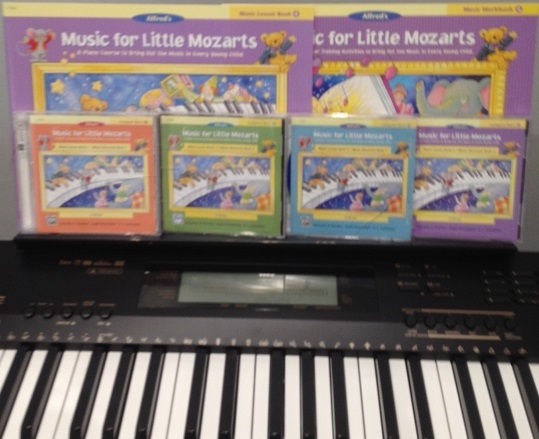 Music for Little Mozarts Work Book at Music Matters piano lessons. 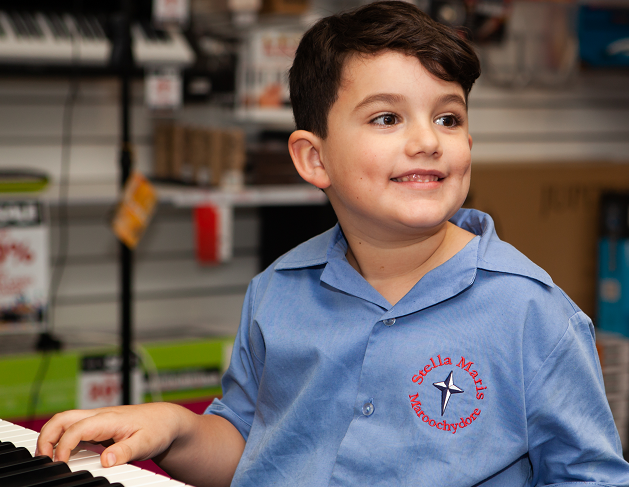 Call me today to enrol your child in the Music for Mozarts Piano program. 0418 563 226. Your child will soon be smiling just like Heston!